According to his obituary in the 23 April 1983 Colorado Springs Gazette (sec. A, page 4), Lawrence G. Heller was born Dec. 31, 1905, in Greensburg, Penn. He had lived in Colorado Springs since 1905. He was a commercial artist and had been employed by the Alexander Film Co. In the 1930s, he was associated with the Broadmoor Art Academy. Many of his works are in the archives of the Air Force Academy Library. He was a veteran of World War II. He died 22 April 1983 at a Colorado Springs hospital. Dorothy's obituary appears in the 28 January 1999 Gazette (News, page 4). She was born Oct. 5, 1905, in Anderson, Ind., and died Jan. 22 at her home. She was the daughter of Walter and Rosalie KEMP. 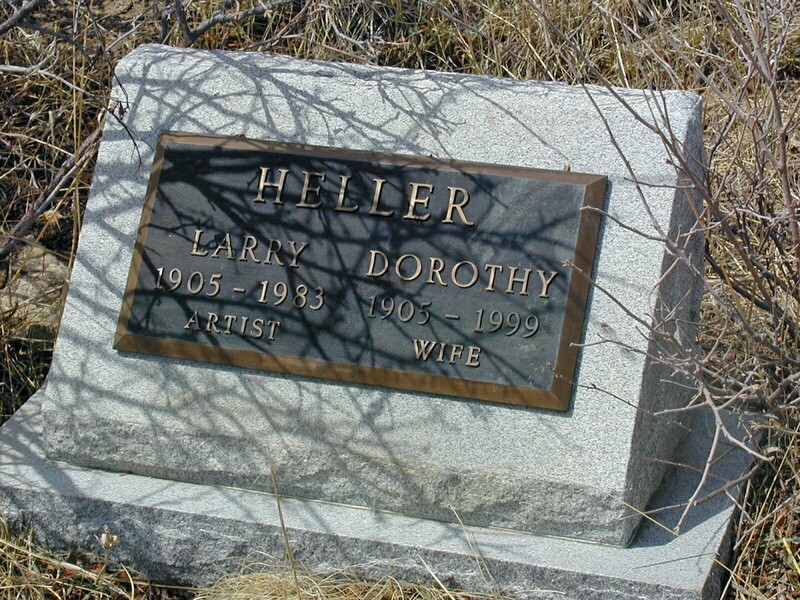 She married Larry HELLER on 29 May 1936, according to the Colorado Marriage Index CD. She worked for the Colorado Springs police department for 35 years. Articles on the couple and property appear in the Gazette on 17 October 1996, B1; and 21 November 2002, Metro, page 1. "Best Rediscovered Local Arts Secret: The Heller Center"